Oh my. I have photos just like this on my blog. I laughed out loud at the pic of all the little jars of wood stains. 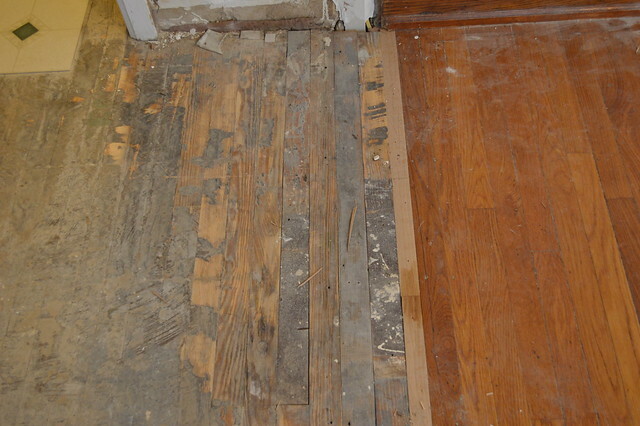 It’s very difficult to match floors even if it’s the same wood. You have to decide for yourself and not keep anything you’re going to dislike later. Can’t wait to see it resolved.